Martin Luther initiatit the Protestant Reformation in 1517. 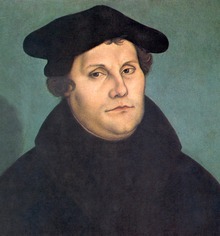 Lutheranism is a major branch o Protestant Christianity that identifies wi the theology o Martin Luther — a German friar, ecclesiastical reformer, an theologian. This page wis last eeditit on 24 Julie 2015, at 15:54.